On a fall evening in 1946, one woman’s act of courage and resilience in the face of racism would prove to be a pivotal moment in Canada’s history. Viola Desmond was a successful Black Nova Scotia businesswoman who defiantly refused to leave a whites-only area of a movie theatre on November 8, 1946, and was subsequently jailed, convicted and fined. While she was unsuccessful in her subsequent efforts to quash her criminal conviction, her story resulted in a milestone human rights case in Canada. Desmond’s court case was one of the first known legal challenges against racial segregation brought by a Black woman in Canada. It was an inspiration for change and part of a wider set of efforts toward racial equality across the country. The case touched a nerve within the Black community and added to the growing consciousness regarding racial discrimination in Nova Scotia. Desmond eventually received a posthumous free pardon from the Nova Scotia government on April 15, 2010. It was granted by then-Lieutenant Governor of Nova Scotia, Mayann Francis, the first Black Nova Scotian and only the second Black person to hold such a position in Canada. The premier at the time, Darrel Dexter, issued a public declaration and apology, saying charges should never have been laid and that Desmond’s conviction was a miscarriage of justice. In 2018, the theme of the Government of Canada’s Black History Month campaign is Black Canadian Women: Stories of Strength, Courage and Vision. Viola Desmond’s courageous stand and ensuing fight for justice is one such story and is about to make history once again. Later this year, Viola Desmond will become the face of Canada’s new $10 bank note, becoming the first Canadian woman to appear on a regularly circulating note. 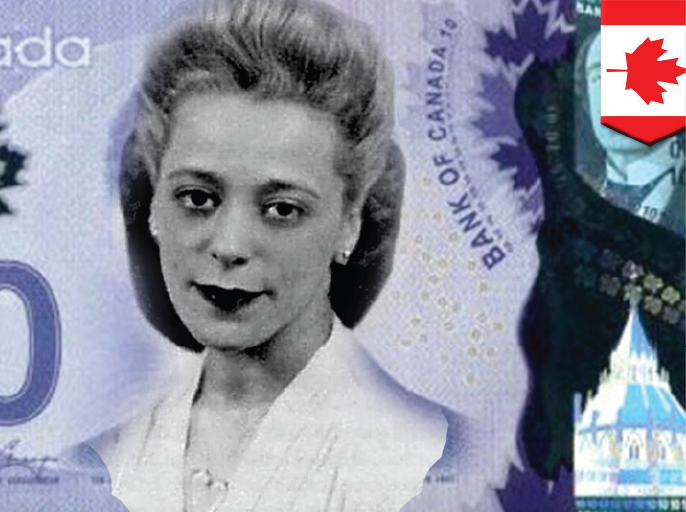 The Bank of Canada is proud to feature Viola Desmond as the portrait subject of this human rights-themed note. This note will gradually become available to the public starting at the end of this year, alongside other $10 bank notes already in circulation. The reverse side of the new $10 note will depict symbols and images that complement Viola Desmond’s achievements and reflect the broader themes of social justice and the struggle for rights and freedoms. Viola Desmond was named as the portrait subject following an open nomination process that called on Canadians to suggest who they thought should be on the next bank note. The excitement surrounding the new $10 featuring Viola Desmond provides an opportunity to break with tradition once again with the next $5 note, which will feature another prominent Canadian nominated by the public who has made a mark on the history of our country. In due course, the Bank will launch another consultation process to seek input from Canadians on the portrait subject and design of the new $5 note, building on the successes of this most recent process. Visit bankofcanada.ca to learn more about the design and security of Canada’s currency and stay tuned for the launch of the next bank NOTE-able campaign. Follow the Bank on Twitter (@bankofcanada) for the latest news about Canadian bank notes.